Gatherings at Ellicott Mills is a 55+ community in Ellicott City, Maryland. This active adult community plans to build a clubhouse complete with amenities to keep residents socially active and physically fit throughout the year. Beazer Homes has developed low-maintenance condominiums and attached villas for active adult homebuyers. Owning a home inside of Gatherings at Ellicott Mills lets residents live their carefree lifestyles while having more time to explore all that Central Maryland has to offer. Situated just 15 miles west of Baltimore, Gatherings of Ellicott Mills is a quaint community of 127 homes in a convenient location. Residents of Gatherings at Ellicott Mills enjoy a comfortable lifestyle in their low-maintenance homes. Once constructed, the proposed clubhouse will be a wonderful place to meet friends and neighbors for game nights or holiday parties. There will even be an exercise room, making it easy to stay fit and healthy. Gatherings at Ellicott Mills provides a sense of community where neighbors become lifelong friends. Beazer Homes began construction of Gatherings at Ellicott Mills in 2013. Upon the community's completion it is planned to have 127 residences. Of these, 81 will be condo units and 46 will be attached villas. There are four condo floor plans that offer 1,460 to 1,968 square feet of living space. Gatherings at Ellicott Mills condos feature two bedrooms and two bathrooms, some have a den. These units are situated in mid-rise elevator buildings with a private balcony or patio and one-car garage. The attached villas are perfect for homebuyers looking for a low-maintenance home with more space. The Willow floor plan offers 2,272 square feet of living space with at least three bedrooms, two-and-a-half-bathrooms, and an attached two-car garage. An optional basement can be constructed with a fourth bedroom and third bathroom. Gatherings at Ellicott Mills villa homes were designed for active adults with the master suite and laundry room located on the first floor. Gatherings at Ellicott Mills is located just 22 minutes west of Baltimore in Ellicott City, Maryland. Located near many major roadways, it s easy to travel throughout Central Maryland. 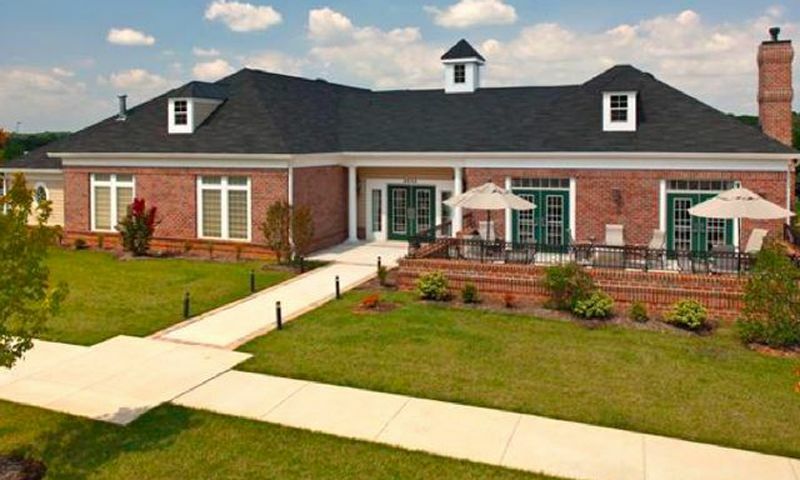 This active adult community is just a ten-minute drive away from Columbia's attractions and parks. Everyday conveniences, restaurants, and shopping opportunities are just one mile away at Normandy Shopping Center. Historic Ellicott City offers fine dining and museums to visit with family and friends. There is even outdoor recreation offered nearby at Patapsco Valley State Park. Gatherings at Ellicott Mills is a thoughtfully designed active adult community in a convenient location with low-maintenance homes. Check back soon for more information on the lifestyle in Gatherings at Ellicott Mills. 81 condo units are planned for Gatherings at Ellicott Mills. There are four floor plans that offer 1,460 to 1,968 square feet of living space. The condo units in Gatherings at Ellicott Mills offer two bedrooms, two bathrooms, and a one-car garage. Some homes include a den for extra space. There are 46 villas planned in Gatherings at Ellicott Mills. The Willow is the attached villa model offered at Gatherings at Ellicott Mills. It offers 2,272 square feet of living space with three bedrooms, two-and-a-half bathrooms, and an attached two-car garage. An optional basement offers an additional bedroom and bathroom. 55places.com is not affiliated with the developer(s) or homeowners association of Gatherings at Ellicott Mills. The information you submit is distributed to a 55places.com Partner Agent, who is a licensed real estate agent. The information regarding Gatherings at Ellicott Mills has not been verified or approved by the developer or homeowners association. Please verify all information prior to purchasing. 55places.com is not responsible for any errors regarding the information displayed on this website.